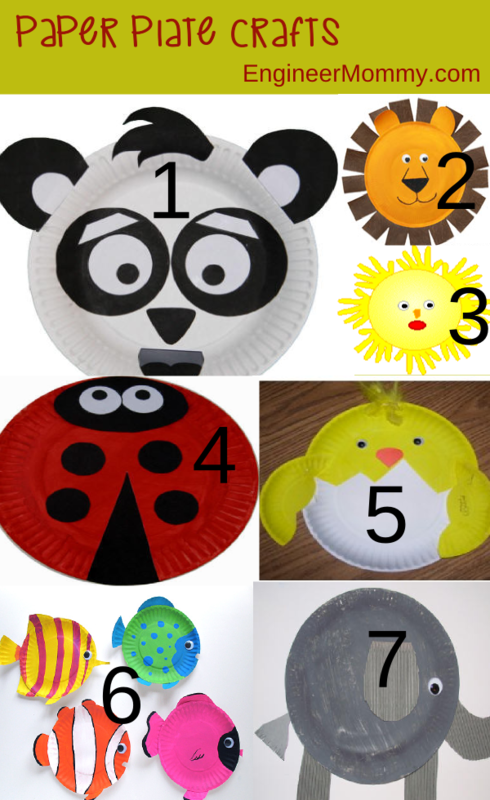 These Paper Plate Crafts are so much fun and so cute to make with your kids! With the weather getting colder every day, and the snow piling up on the ground, it is imperative to find crafts & activities to do with the kids on a daily basis. Engaged and entertained kids are happy kids, and happy kids make a happy mama. So check out these fabulous ways to use a simple paper plate to make pretty and interesting art work with your kids! You can make an adorable black and white panda. Or how about this super cute lion. A simple sun is another fun craft to make. My daughter loves ladybugs, and this little ladybug is sure to be a winner. What about a paper plate chick– just in time for Easter around the corner! I love these tropical fish– cute enough for playroom decor! This elephant craft is another adorable kid’s activity!